Is Times New Roman really a font or is it a typeface? For some people the difference really matters, especially those involved in graphic design. These are the experts who can tell you the exact pitch and design of the Mad Men logo versus Cadbury’s. They can explain the difference between the lettering used for The Avengers and the X-Men. And they’ve been doing this long before the advent of computer technology. 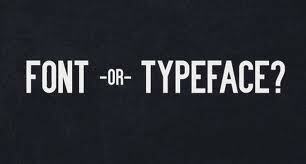 For traditionalists then, the physical manifestation of letters, symbols and numbers is a ‘font’. It’s a font whether it’s on a computer or a printing press. By contrast, the design of letters and numbers is a ‘typeface’. This is not new. It’s been so since time immemorial, even before Johannes Gutenberg invented mechanical moving type in the Fifteenth Century. How best to explain this? Turn on your car radio. The vehicle for transmitting the sound is analogous to a font; by contrast, the music issuing forth is the typeface. Font is to typeface what microphone is to song. Put it another way; font is to typeface as clothing store is to suit. The font is the source or quantity vehicle; the typeface is the creative product. So a designer would say that the print on this screen in Times New Roman is a typeface; it’s only the pitch, 12-point, which should called the font. And yet don’t most of us refer to Comic Sans or Bookman Old Style or Helvetica as a font? Surely nobody is confused. Isn’t this just one of those changes wrought by technology whereby the old terminology is forgotten? Before we all started typing on computers, most of us had no clue about typefaces and fonts. They belonged to the mysterious lexicography of printers, with their punch-cutters, matrixes and casting moulds. We left typography to the professionals. Masters and apprentices in that trade knew the differences between their serifs and their boldface. They knew the difference between a foundry (specific manufacturer of a set of type), a family (typefaces from that foundry), a face (style of the type, such as Garamond italic) and a font (typeface at a specific size). So the distinction would be family (Helvetica), typeface (Helvetica Bold) and font (Helvetica Bold 12 point). Nowadays most of us have accepted computer industry definitions of words like ‘icon’ and ‘font’ just as we talk about ‘accessing’ and ‘uploads’ and ‘texting’. So do the old fine distinctions still matter for those of us lacking inside knowledge of design? Like it or not, even those professionals must acknowledge that the majority of people neither know nor care about finer points of traditional terminology, now that anyone with a PC can be his or her own publisher, printer and designer. Font was formerly spelt ‘fount’ but the word’s derivation is far from clear, even if the most obvious linguistic source is France. There a spring, fontaine, is the source from which water gushes. From this same source we derive the word ‘foundry,’ a nice origin tale for anyone working with moveable type, as the fount was also a cauldron of molten lead or antimony used for casting number and letter characters. French words fondre (to melt) and fondu (melted) likewise indicate a common derivation to ‘font’. There’s also another origin story, which I have struggled to verify from independent sources, about a font being a container for liquids, like the ‘font’ found in churches and cathedrals, where printers would keep their type from the printer’s tray. Later the ‘font’ was the name for the box where printers would keep their wooden or lead pieces. If we apply this to the computer age, the ‘font’ would be a generic name for the collection of typefaces. For most of us the font-versus-typeface distinction sounds like the grade of difference between a dolphin and a porpoise. For the cognoscenti and the lovers of traditional craft, it still matters. So in deference to the latter, I acknowledge their historical and professional claims, while at the same time embracing the practicality of computer-era commerce. What the font. 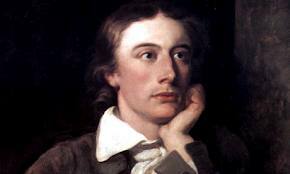 Recently I heard John Keats described as one of the great Victorian poets. He was not. Oh, he was—and is—a great poet, but he does not belong to the Victorian era. Likewise Jane Austen, whom I have also heard called a Victorian author, was about as Victorian as the Napoleonic wars. Call me a pedant, call me irritating and call me a stickler, but I dislike historical inaccuracy. For some reason, the term ‘Victorian’ (and its connotations of moral rectitude and stuffy manners) has become near synonymous with the nineteenth century. Not so. While a majority of that tumultuous century belongs to the long-lived English monarch, more than a third of those hundred years, starting with 1800, were given over to Georgian excess, pomp, overindulgence, rotten boroughs, risqué theatre and what came be to be known as the Romantic Movement. Jane Austen died a year after George IV was crowned. Not a Victorian. Keats died young, like many of the Romantic poets, including Shelley and Bryon, each of whom was pushing up daisies by the time Queen Victoria ascended the throne in 1837. They all lived and wrote through the reign of George III and George IV. Perhaps part of the confusion can be attributed to old Wordsworth who stubbornly kept on living, despite his earlier Romantic efforts, not expiring until 1850. Blake departed the scene well before the advent of Queen Victoria. And even Wordsworth’s pal Coleridge had the decency to keep to a strict Georgian lifespan, popping off in 1834, when Victoria’s uncle, William IV, was still on the throne. So to call Keats a Victorian poet is as absurd as referring to the 1830s as part of the Victorian era. After that, the Victorian poets include Arnold, Browning, Hardy, Hopkins, Rossetti, Swinburne, Tennyson and Wilde. No problem there. But here’s where confusion arises. 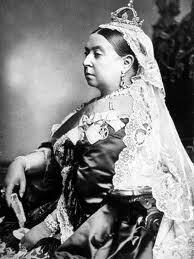 In 1851 a new colony was added to the British Empire, named after the dear old queen. Victoria. That’s where I live and write. And I know a number of poets. Some of them are uncommonly fine writers. If they hailed from Tasmania or Queensland, there wouldn’t be such a dilemma but whenever I hear any of them described as Victorian poets, it rankles with me and I suspect it bothers them. I certainly find it amusing to be described as a Victorian author. It puts me in mind of Dickens, the Brontes, George Eliot, Trollope and Thackeray—admirable company, but hardly accurate. So what are we to do with our adjective ‘Victorian’ when that damn word applies not only to Victorian attitudes but also to images of Prince Albert and the Crystal Palace, Gilbert and Sullivan and Sherlock Holmes? And at the same time it refers to Victorian cities of the second most populous state of Australia that are paradoxically home to grand Victorian-era architecture. 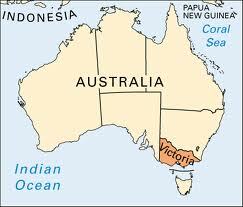 This state is the birthplace of Victorian football and the Victorian Government, and the home or adopted home for five million Victorians inhabiting a wedge at the bottom of this island continent. In the state of Victoria the statement ‘it’s positively Victorian’ can mean many things. So we’re not amused. Sexist language isn’t just old hat; it’s antediluvian. Terms such as ‘mankind,’ ‘postman,’ ‘stewardess,’ ‘manpower,’ ‘male nurse’ and ‘man-made’ sound quaintly old-fashioned when heard or read today. We are less likely than ever to hear ‘mother nature,’ ‘policeman,’ ‘forefathers’ or ‘salesman’. And yet we often still hear related terms like ‘salesmanship,’ ‘brinkmanship’ and ‘maiden name’. Some terms still struggle to emerge from the sexist past. ‘Ombudsman,’ for example, reeks of apparent sexism. The word is indigenous to Scandinavia, a region known for advanced social policy in so many areas. Derived from Old Norse, it means ‘representative,’ i.e. someone empowered to act for someone else, like our word ‘attorney’. Ombudsmen can be female, of course, but the term sits uneasily, even if we know it’s a Swedish word. In the same way that ‘Matron’ is now known as ‘Director of Nursing,’ the term Ombudsman is often recast into gender-neutral language, such as ‘Commissioner’. But it’s not always that easy. We no longer hear about ‘the common man’ yet we may still hear or read ‘barmaid,’ ‘waitress’ or ‘actress’. In cricket, bowlers still consider themselves pleased to bowl a ‘maiden over’ just as artists delight in producing a ‘masterpiece’. It’s not unknown to hear of a ‘one-man band’, an ‘unmanned flight’ or a ‘middleman’. Sure, we’ve got rid of ‘usherette’, ‘aviatrix,’ ‘headmistress’ and ‘poetess’. But ‘freshman year’ is still a commonly used term in the US, just as ‘manmade’ has not been wholly replaced by alternatives such as ‘artificial’ or ‘manufactured’. ‘Take it like a man’ and ‘man up’ remain in conversational circulation, like ‘separating the men from the boys’ and ‘just one of the guys’. Although many women use the term ‘mate’ it hasn’t entirely lost its slouch-hat digger connotation. ‘Mateship,’ for example, remains a male-implied term, just as ‘fraternity’ is not a synonym for ‘community’. We still have bridesmaids, black-tie events and motherhood statements. It’s a slow process of change. Recently I heard the term ‘grandparent clause’ used as a supposedly non-sexist alternative. It didn’t sound so bad to my ears until it slid into gerund form as ‘grandparenting’. This one rang too close to ‘parenting’ for my satisfaction. I could not associate this version of the word with an old rule that continues to apply to future situations. Perhaps this was because I know the origin of ‘grandfather clause’ and its association with those repellent Jim Crow laws in the southern states of the USA, a form of economic apartheid. I won’t be using this one. 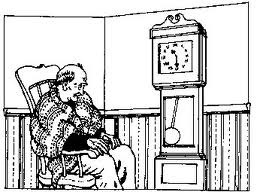 Nevertheless, I began to wonder about other ‘grandfather’ terms, such as ‘grandfather clock’. This one carries the official name ‘long-case clock’ but no one seems to call it that, most likely because of the enduring popularity of a song from 1876 entitled ‘My Grandfather’s Clock’ (“My grandfather’s clock was too large for the shelf,/ So it stood ninety years on the floor…”). In my opinion, ‘grandparent clock’ would be about as successful an alternative to the traditional as anodyne substitutes like ‘chairperson’ and ‘ancestor’. I don’t see this one catching on any time soon. How can it escape the hint of wooden spoon and corncob pipe, with a rocking chair and slippers? 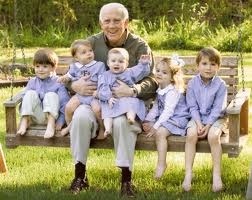 Of course I might have to grandparent that rule.